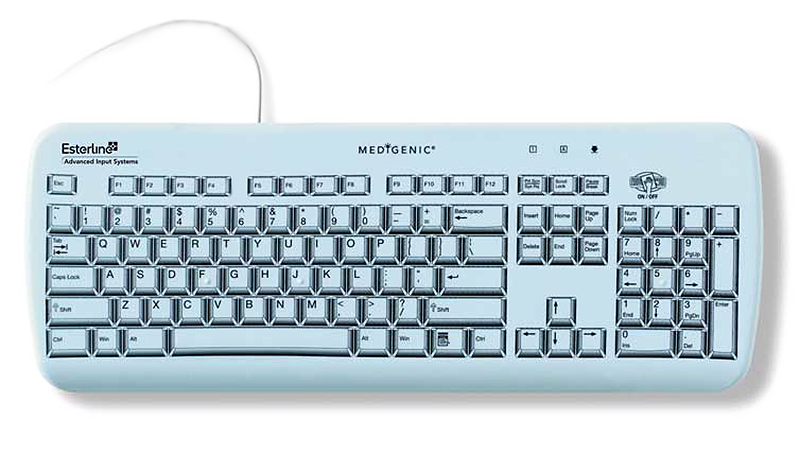 The Medigenic Compliance keyboard is designed to be a smart infection control keyboard that helps monitors its own cleaning status by displaying a flashing light to safeguard both patient and staff. Great for use on wards such as A&E, theatres and ICU. This Medical Compliance Keyboard is perfect for any healthcare environment where cross-contamination needs to be reduced. The flat design enables a quick wipe down with any hospital-grade disinfectants without having to move the keyboard or unplug it.